Have you recently lost a tooth? If so, you may be interested in the dental implant procedure to help you smile with confidence. A dental implant is an artificial tooth root (typically made of titanium) that’s placed in your jaw to later support a crown. Unlike dentures, dental implants are stable and often able to last a lifetime with proper care. Continue reading to learn if you’re a candidate for dental implants and how our Grand Rapids, MI dentists can help. 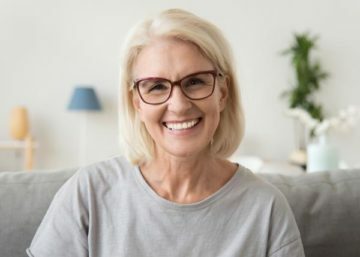 The ideal candidate for dental implants is a non-smoker, has healthy gums, and has sufficient bone density in their jaw to support an implant. However, don’t feel like you have to be the “perfect candidate” for dental implants to request a consultation with one of our dentists. There is plenty we can do to find the right solution for your smile. Do You Have Healthy Gums? It’s important to understand that the condition of both your teeth and gums ultimately affect oral health. If you have receding gums due to advanced periodontal disease, you may not be a candidate for the dental implant procedure. This is because teeth are more likely to fall out when they’re no longer supported by gums. The ideal candidate for the dental implant procedure has healthy gums. Do You Have Enough Bone Density in Your Jaw to Support Implants? You’ll need to have enough bone density in your jaw so the tooth implant can be placed. If you don’t have enough bone density, our dentists may recommend you get a bone graft. For this procedure, a section of bone would be taken from another part of your body and grafted onto your jawbone. That way, your dental implants have enough support to properly anchor to the jawbone. Do you smoke or otherwise use tobacco products? If so, you’re not the best candidate for the dental implant procedure. It’s important to understand that there’s a connection between your oral health and the rest of your body. When you smoke, you increase the risk of the tooth implant not fusing properly to your jawbone. People who smoke may also heal more slowly after the dental implant procedure. Do You Practice Good Oral Hygiene? 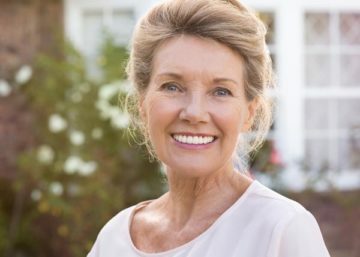 The better you take care of your smile, the longer your dental implants are likely to last. To help your dental implants last for years, you’ll need to brush your teeth twice a day and floss once daily. You’ll also need to see one of our dental implant dentists at least every 6 months for a teeth cleaning and oral examination. We closely monitor the condition of your dental implants so they last for years to come. With proper care, dental implants can last up to 30 years or even a lifetime. However, it’ll be your responsibility to maintain good oral health so your dental implants remain in good condition. If you suspect any issues with your dental implants, call our office as soon as possible. Our dentists offer dental implants and other tooth replacement options to help you smile with confidence. To request an appointment with one of our dental implant dentists in Grand Rapids, MI, call Contemporary Family Dental at (616) 209-3969.